The man in this surprisingly informal and dynamic portrait is Jan Wildens (1586-1653), an Antwerp landscape painter with whom Rubens collaborated on several occasions. The Winter Landscape with a Hunter in The Gallery of Cornelis van der Geest (no. 15), which has been propped up against a chair at the bottom right, is one of his works. Wildens is also depicted in this painting. 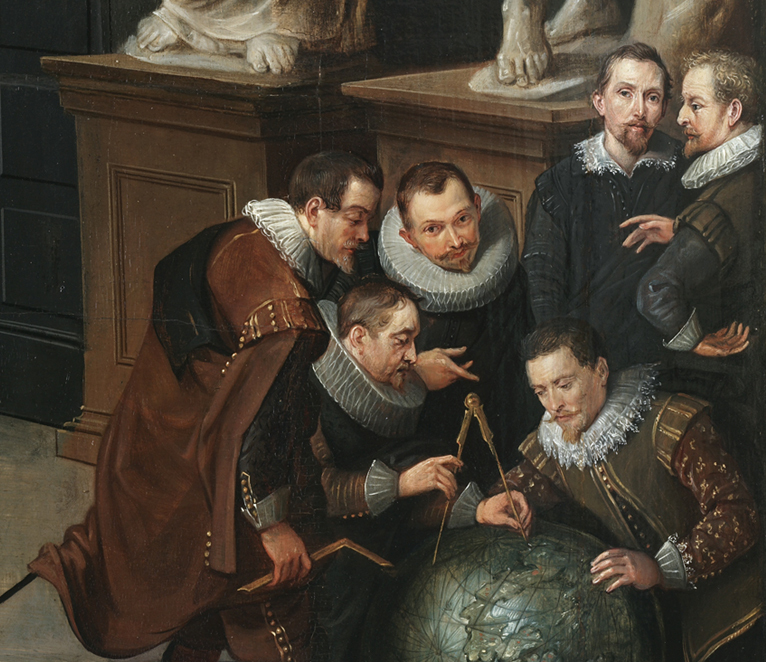 He is one of the gentlemen who are leaning over a globe to examine it in more detail. Do you recognise him? 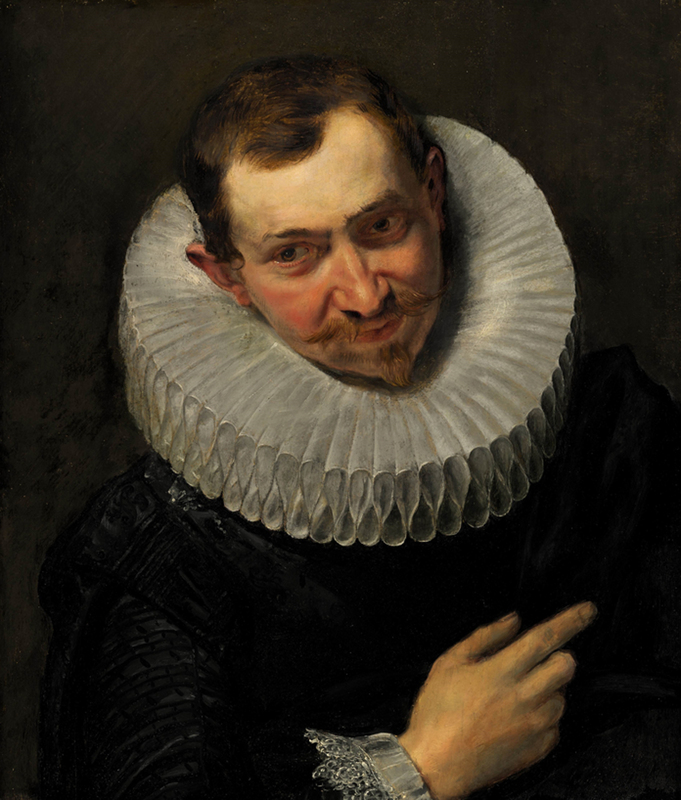 Art historians recently discovered that this portrait, which was painted by Rubens, served as a model for Wildens’s features in The Gallery of Cornelis van der Geest.